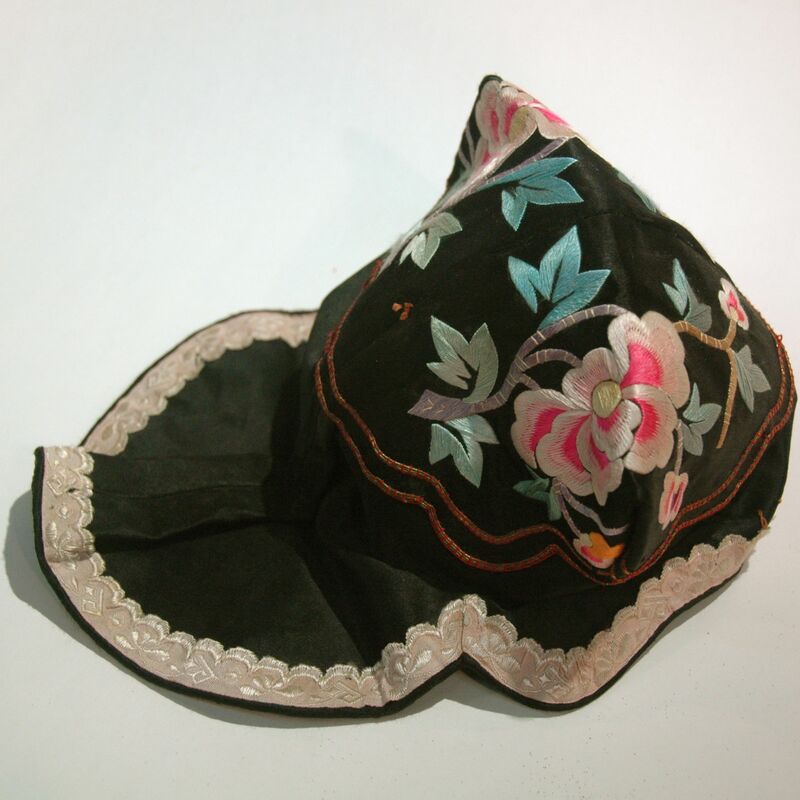 This is an embroidery hat for a child, flower pattern is embroiled on silk. The embroidery would usually be made by girls in the family. Please note that this is not a baseball style cap, the extension is not the bill but a cloth that drap down the back of the neck.